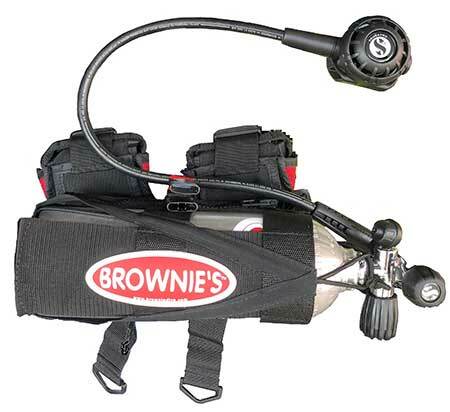 Brownie's Egressor™ Sytem is the perfect dive companion for Third Lung Diving or to use alone for quick, underwater use. Brownie's Egressor™ Sytem uses the best quality components at an affordable price. Available in 6 cft. or 13 cft. tank sizes. It’s also great for quick response to items dropped over-board, verifying anchor location, hull inspection, prop clearing, pool maintenance, and much more! 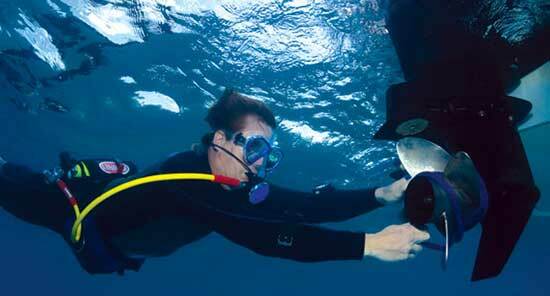 All divers are taught to carry a secondary air source in case of an emergency and hookah diving is no different. 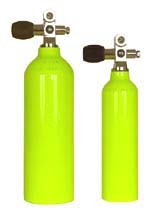 We recommend that all divers carry enough air to make a safe ascent at any time. Our patented Egressor™ systems ride along in a handy sleeve in the small of your back-out of the way, yet always convenient. Not some tiny bottle that only provides a false sense of security, our systems feature a scuba pony bottle with a standard scuba valve (6 cu. ft. for the average diver or a full 13 cu. 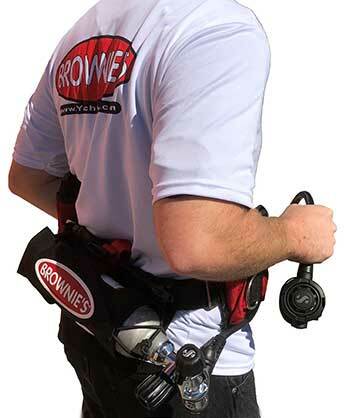 ft. for the serious explorer), our Egressor scuba regulator with a low-profile HP port gauge, Brownie's™ patented Drop Weight Cummerbelt™ with retention sleeve. More than just a safety device, you'll find all kinds of uses for your Egressor™ System. 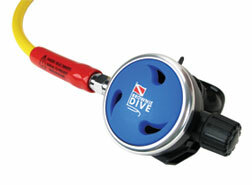 Light and small, it can be donned in seconds - much less time and effort than donning a full set of scuba. 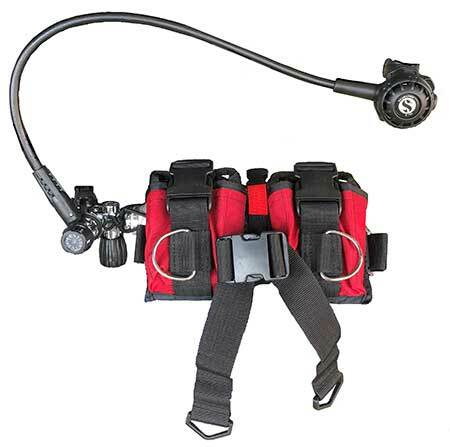 The Egressor™ System uses Scubapro regulators, Luxfer scuba cylinders and Brownie's in-house Cummerbelt™, sleeve and other items to ensure quality components and reliable use. 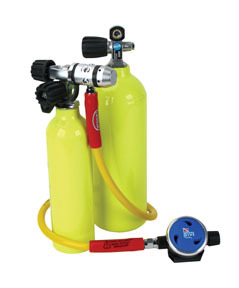 Includes: sleeve, bottle, first and second stage regulators with 40" yellow 5/16" hose, high pressure port gauge, bungee necklace. 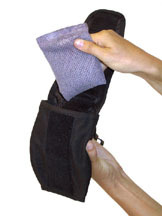 Adjustable for waist sizes from 24 to 54 inches for every size of adult or child. The sleeve zips onto the back of the Cummerbelt™ to carry the 6 cft. or 13 cft. on the small of the back. See the images below. 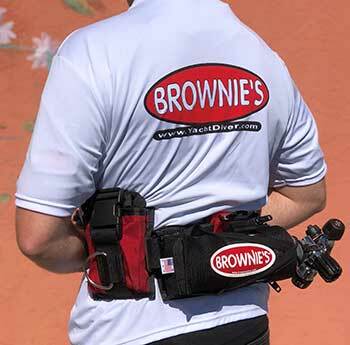 Contact Us for more Brownie's Egressor™ information.